Google are really on a roll currently; Pixel handsets, Google Home, Daydream VR and now they’ve tweaked Android Auto making it available to millions more people. Android Auto is an app that makes your phone more car-friendly. All you had to do (until now) was plug your handset into an Android Auto supported car and watch as your car’s built in display shows a car-friendly version of your phone’s display; you can then call, message and play music from your phone via your car. Unfortunately, the only models supported by car manufacturers are their 2016 models, rendering it useless to anyone with an older vehicle. However, Google have just updated the app so it works without a compatible car, just mount the phone in your car and open the app, you are then presented with a car-friendly interface with big buttons that is much easier to use when driving. If your motor supports Bluetooth you can set Android Auto to open automatically when it connects to your car kit, meaning the audio is routed through your car’s speakers. 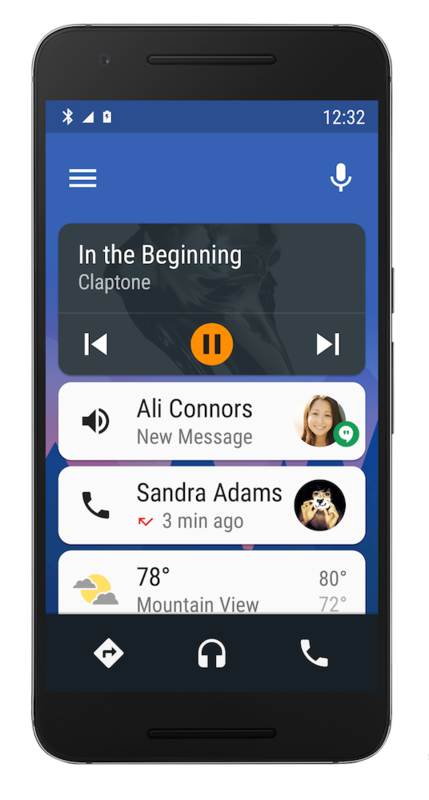 The interface is perfect when in the car; supported apps (these include Google Play Music, Pandora, Spotify and messaging apps like WhatsApp and Hangouts) look very different when running inside Android Auto, meaning UI elements are bigger and easier to press whilst driving. Also when someone messages you in a supported app you can click the play icon and have the message read to you. I’ll be using this app every time I get in the car now, it makes using the phone in the car much safer as most interaction can be done via your voice, and if it can’t you have big, prod-able buttons to play the song you want or call the office to say you’ll be late in!